We’re just days away from Splash and the excitement is mounting. 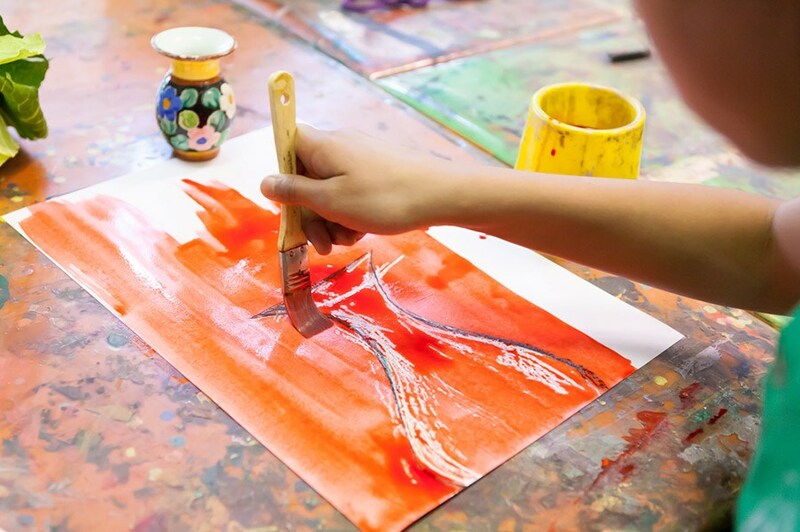 Aside from the three-day art show, Splash has driven other artistic activities within the school. This week, Claire Bowers from the Splash organising committee tells us about artist Sara Catena’s second visit with grade fives. 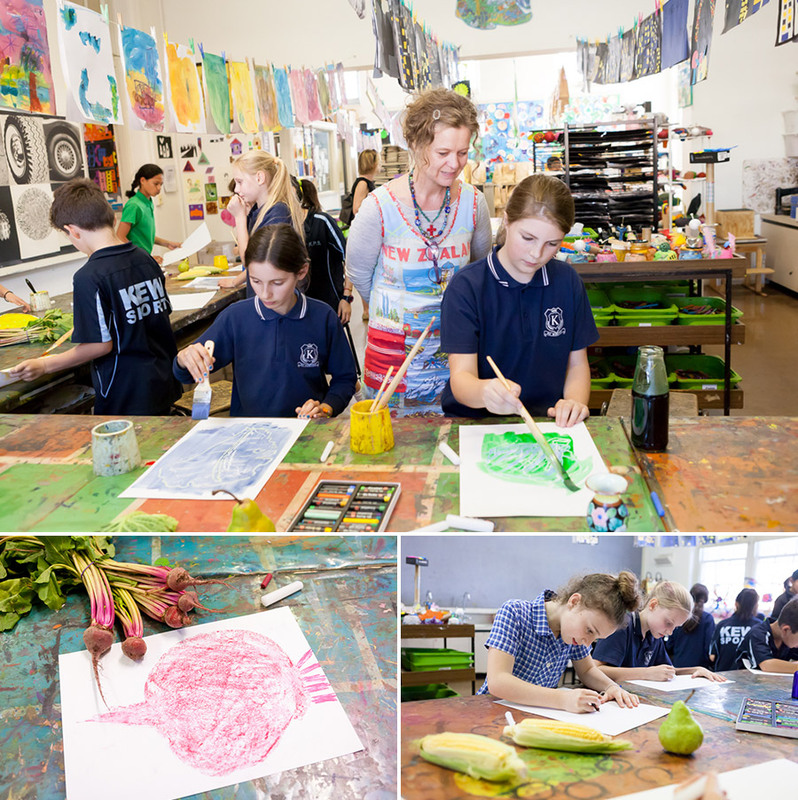 You may remember that a couple of months ago, Melbourne artist Sara Catena – one of the many artists who will be featured in Splash – ran an inspirational workshop with some of our Grade 5 students. Before the end of term she came back to see how the students had got on with their artwork and to challenge them with some new pieces. distinctive approach to art; using words as a starting point and then building layers of imagery using different textiles and textures as well as paint. herself has been inspired to work on a piece at home, using felt on canvas. inspired the students were by Sara’s expert advice and encouragement. displaying and selling their works here at Kew Primary School. Thank you to Bethanie at Pink Images for the photographs. This entry was posted in Events, Funding, Learning and tagged art, art teaching, Splash Art Show by Kate W. Bookmark the permalink.